"In 1950, Model Airplane News published a two part article describing a simple 0.06 cu in engine for home construction called the Little Dragon. The designer and author was Roy Clough Jr. Roy appears to have been the man called on when something out of the ordinary was required; engines, free-flight helicopters and ducted-fan designs, Roy did them all." Second book of plans for model internal combustion engines from the Motor Boys International. 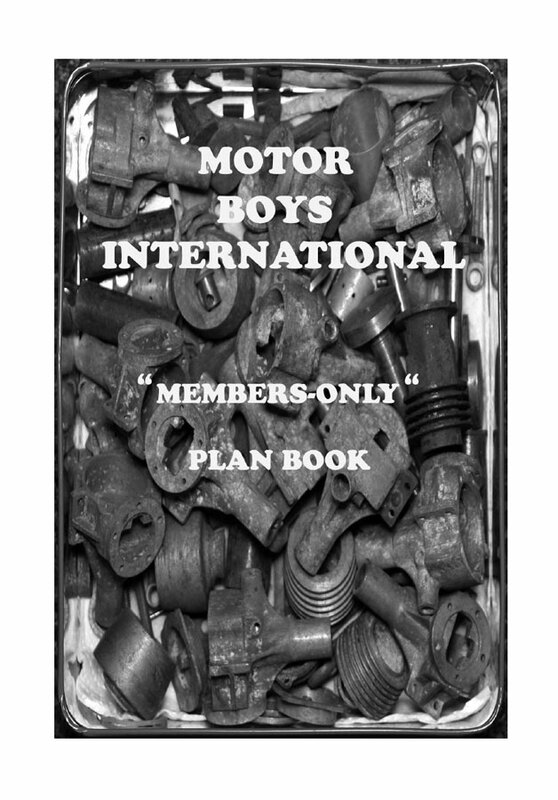 "The Motor Boys International is an informal group of men from around the world with a common interest concerning the history, design and construction of model engines. Communication is made possible by the internet. Each one of the Motor Boys has unique talents that, when pooled into joint projects, adds to the enjoyment of their hobby. The public face of the Motor Boys exists as the www.modelenginenews.org web site, the property of Ron Chernich. Sadly the loss of Ron means that the site is available but frozen. One of the products of the Boys was a significant collection of CAD engine drawings, many being available freely on the web site. 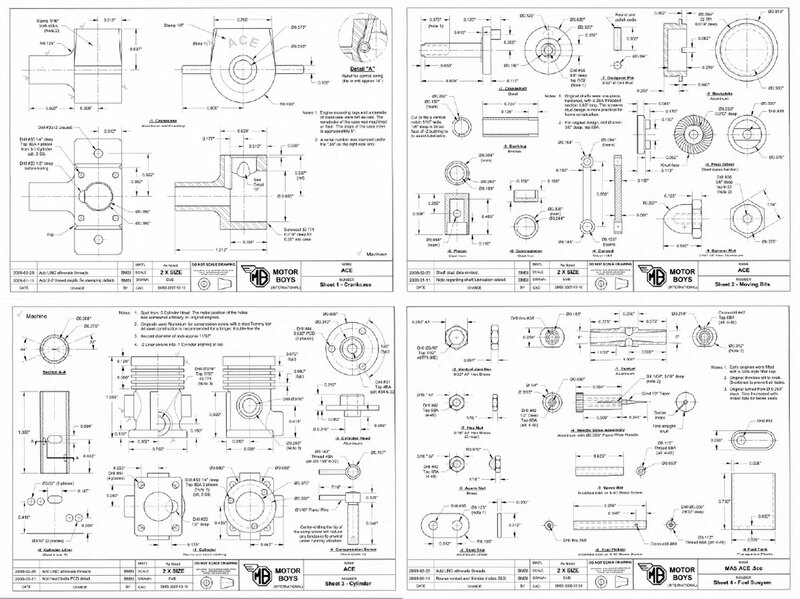 Some of these drawings have been published in the now out-of-print Model Engine Plan Book [available here on RCLibrary]. There was in addition a collection of plans available to the Boys themselves and to members of the public who paid a small fee to become members, and although these are on the web site, they are password protected and not freely available. These are generally known as the "members-only" plans. The Motor Boys group, in part due to the passing of a number of members, is now inactive. It is seen as a good thing for the members-only drawings now to be made available to all. We believe that there are no copyright issues preventing publication. This small volume contains all the members-only plans duly updated by the author with any known changes. All of the plan sets were produced in CAD format by Ron Chernich.